Tolkien's works are punctuated by dramatic and explosive battles. Men versus Orcs, Elves versus Sauron, Goblins versus Dwarves - the history of Middle-earth has seen some of the greatest characters pitted against each other time and time again. From the iconic battle of Helm's Deep to the Destruction of Isengard, The Battles of Tolkien analyzes each battle in depth, with clear maps showing the lay of the land, and exactly how and where the armies attacked. This is essential reading for anyone who loves Tolkien's works and wants to explore the wars within them. Tolkien's works are punctuated by dramatic and explosive battles. Men versus Orcs, Elves versus Sauron, Goblins versus Dwarves - the history of Middle-earth has seen some of the greatest characters pitted against each other time and time again. From the iconic battle of Helm's Deep to the Destruction of Isengard, "The Battles of Tolkien" analyzes each battle in depth, with clear maps showing the lay of the land, and exactly how and where the armies attacked. 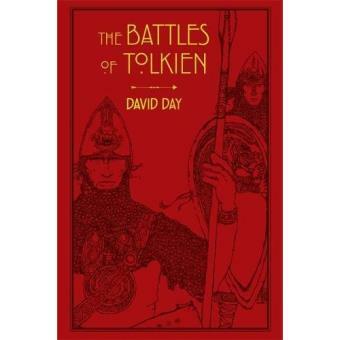 This is essential reading for anyone who loves Tolkien's works and wants to explore the wars within them.